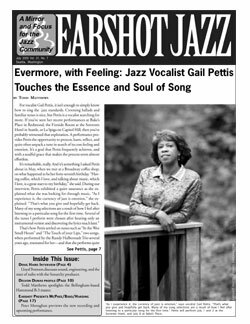 For vocalist Gail Pettis, it isn’t enough to simply know how to sing the jazz standards. Crooning ballads and familiar tunes is nice, but Pettis is a vocalist searching for more. If you’ve seen her recent performances at Bake’s Place in Redmond, the Fireside Room at the Sorrento Hotel in Seattle, or La Spiga on Capitol Hill, then you’ve probably witnessed that exploration. A performance provides Pettis the opportunity to process, learn, reflect, and quite often unpack a tune in search of its core feeling and emotion. It’s a goal that Pettis frequently achieves, and with a soulful grace that makes the process seem almost effortless. 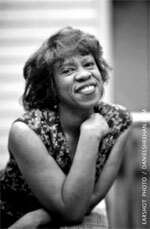 The following year, Pettis enrolled in jazz workshops taught by Dee Daniels (at the Experience Music Project) and Greta Matassa. To be sure, Pettis has found inspiration and influences from varying sources. She also finds inspiration and support within the Pacific Northwest jazz community. She networked early with some of the region’s top jazz musicians — pianists Randy Halberstadt and Darin Clendenin, and bassists Jeff Johnson and Clipper Anderson — with whom she continues to perform today. “I feel incredibly fortunate to be able to play with musicians of this caliber,” she said. “I have grown so much by working with them and being influenced by their musicianship, professionalism, and the sheer love of what they do.